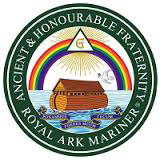 Today was to be yet another meeting to really look forward to, not only was it a Mark Meeting but we were to be treated to a Lecture on the Royal Ark Mariner Degree which I myself and most of the Brethren present have not been witness to before. For the second time in less than a week I put Snoopy and Garmin back in their case because having been to the Masonic Hall at Leyland many times I was confident I could get there unaided, however I must admit that at one point I began to wonder if I was on the right motorway as it was seeming to take forever to get to Botany Bay !! But panic over there it was flags flying and my turn off. Arrived early to see if any help was needed to set the Lodge up but as is usual everything was under control and being done under the guidance of the Provincial DC David Emmerson PAGDC with his team. The Lodge was opened in due form on time by the WM VW Bro.Rod Bennison PGJO one of the nicest gentlemen it has been my pleasure to know in all my years in Freemasonry, the usual salutes were given to the VW PGM Keith Beardmore and the other distinguished Provincial officers, that done it was time to deal with the business items of the Lodge. 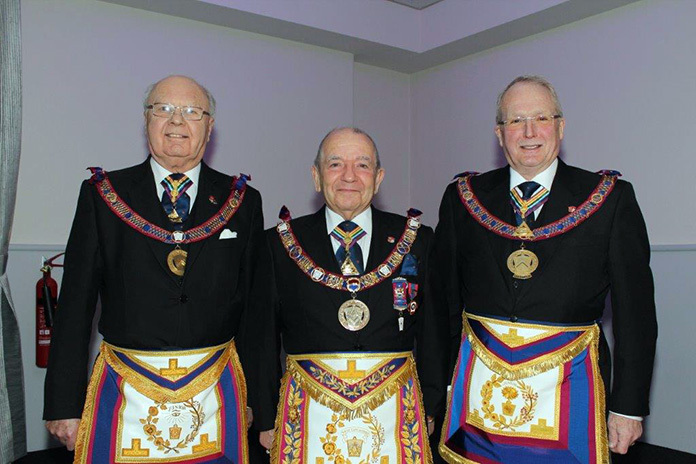 One of the first items was to Ellect a WM for the ensuing year, as Adoniram Lodge is made up by members who have attained a Provincial Honour, the WM is traditionally a member of the Secretariat or indeed the PGM, on this occasion the vote proved unanimous in favour of W.Bro.John Bicknell PGJD, who is the West Lancs Prov G Secretary, a very worthy choice. Having dealt with several more items it was time for the Lecture on the Royal Ark Mariner Degree, presented by W.Bro.John Foster PGJD and a team led by W.Bro.A Fairhurst Prov GJW, it wouldn’t be right to say too much about the actual Lecture save to say it was excellent and one not to be missed if you get chance to see it, all done to the chimes of the watch bell. The meeting having closed the Brethren made their way to get some liquid refreshment before approx 120 diners took their seats for the lunchtime social board, an excellent meal was served up by very efficient staff and in rapid style. The usual Toasts were honoured and several interesting speeches were well received, then as always and all too soon it was time to leave, strange to be still daylight but at least it wasn’t raining, light traffic going back to Urmston, as it was still early called at B & Q as my other half had obviously planted some seeds in my head, bought some fence tops and bits and pieces then thought no, what have I done, that’s more jobs for me to do!! 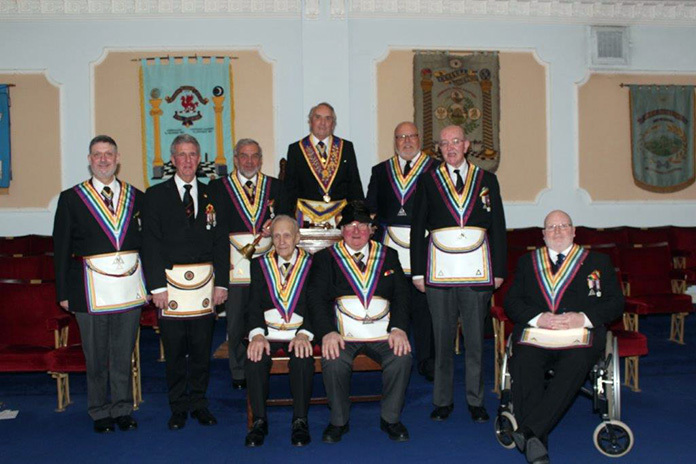 If Not a Member of the colourful and friendly Royal Ark Mariner Degree think about joining, Now..